The National Research Council (CNR) is the Italian major Public Research Body with the aim to carry out, promote, spread, transfer and improve research activities in the main sectors of knowledge growth and of its applications for the scientific, technological, economic and social development of the Country. 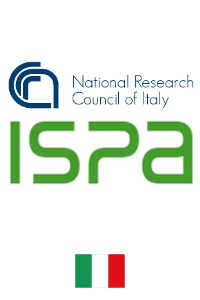 The Institute of Sciences of Food Production (ISPA) belongs to the CNR network and is aimed at develop and implement research projects to improve the quality and safety of agro-food production, using innovative technologies with minimal environmental impact. The ISPA strategy is in compliance with all national and European research policy and is carried out through a multidisciplinary approach based on different and integrated competencies (chemistry, toxicology, microbiology, biotechnology, veterinary science, agronomy, biology and plant pathology). ISPA has a long tradition and renowned expertise in the mycotoxin and toxigenic fungi field. Antonio Logrieco (Coordinator), Nunzia Cito (Project Manager), Mariella Quarto (Financial Manager), Pasquale Del Vecchio (Administrative Manager), Michelangelo Pascale, Veronica Lattanzio, Michele Solfrizzo, Giuseppina Avantaggiato, Annalisa De Girolamo, Vincenzo Lippolis, Fiorenza Minervini, Antonio Moretti, Fabio Altomare, Giuseppe Cozzi, Miriam Haidukowski, Giuseppina Mulè, Giancarlo Perrone, Antonia Susca, Antonia Gallo, Gianluca Bleve.